"This is the mission that completely trumps what we think is exciting about space. Cassini was launched to explore the rings and moons around Saturn, and what this team found there has blown the [science] world away! " A dramatic finale is planned for NASA's Cassini Spacecraft, the biggest interplanetary spacecraft NASA has ever built. On Sept. 15 at 7 p.m. ET/4 p.m. PT – just hours after the spacecraft's planned demise – the original Discovery special "SATURN: INSIDE THE RINGS," produced by Exploration Production Inc. (EPI) and anchored by DAILY PLANET co-host Dr. Dan Riskin, delivers raw coverage of the final moments of the Cassini team's mission and spacecraft from the NASA Jet Propulsion Laboratory (JPL) in Pasadena, Calif. The one-hour special then takes viewers on the mission's unprecedented journey, revealing what it took to build a machine that could endure years of exploration across the solar system and transform what we know about the ringed planet. 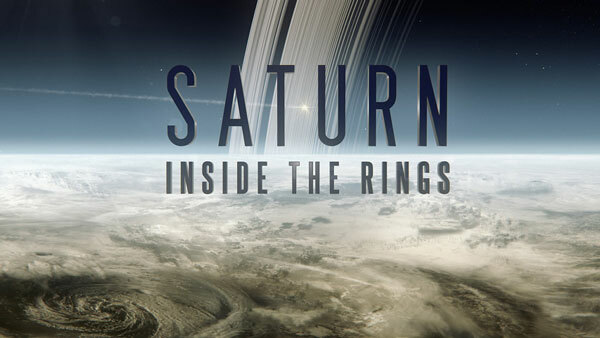 Anchored from Pasadena, Calif. by Dr. Dan Riskin, "SATURN: INSIDE THE RINGS" brings viewers unparalleled access to NASA's epic mission finale, airing Sept 15 at 7 p.m. ET on Discovery. After more than 453,048 images and discoveries that inspired nearly 4,000 scientific papers, NASA's Cassini team must wind down their mission. With no fuel left in the spacecraft and in order to protect discoveries they've made, the team will navigate Cassini through its closest and final dive toward Saturn, torquing and resisting the pressure of the gas giant as it collects final precious bits of unprecedented science before it succumbs to the heat and pressure of the planet's atmosphere. Bringing viewers to the heart of the action, the gripping original Canadian-produced special will share Cassini's last images and capture firsthand the emotions of the team's scientists and engineers as they collect data from their spacecraft one last time. More information on the Cassini mission is available on NASA's website. 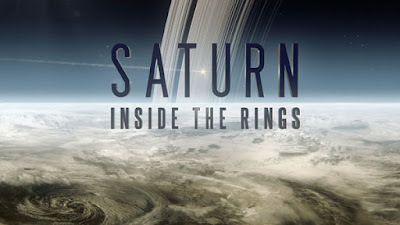 "SATURN: INSIDE THE RINGS" is produced by Discovery's Exploration Production Inc. (EPI), the same team that brought viewers 2016's "JUPITER: CLOSE ENCOUNTER," which reached 953,000 total viewers when it premiered in July of 2016. The special's producer is Shelley Ayres. Kelly McKeown is Director of Production. Nanci MacLean is Vice-President, Bell Media Studios. Ken MacDonald is Vice-President and General Manager, Discovery Networks. Tracey Pearce is President, Distribution and Pay, Bell Media. International distribution is led by Tony Leadman of Exploration Distribution Inc. Following its world premiere in Canada, "SATURN: INSIDE THE RINGS" will air in 171 countries around the world on National Geographic.